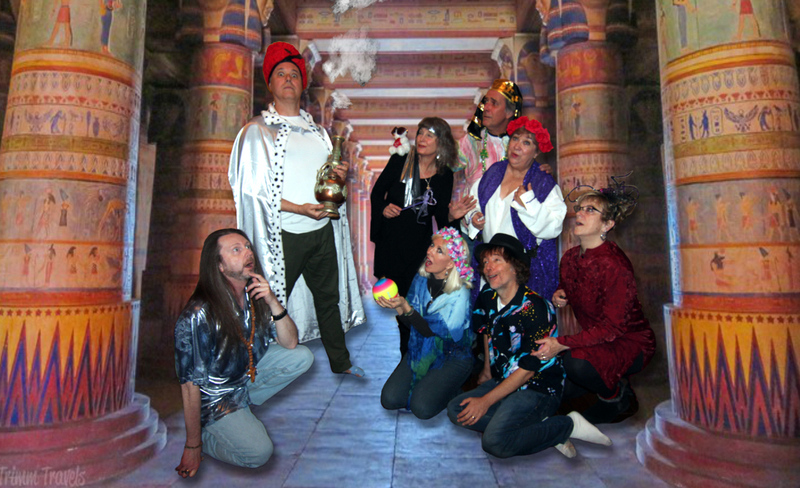 Sedona International Film Festival - Zenprov Comedy: Holy Smokes! Through a cosmic synchronicity, the counterculture holiday of cannabis liberalization known as “4/20” happens to fall on the religious holiday of Passover, also on April 20. What’s a Sedona comedy troupe to do? Celebrate both in a show Zenprov Comedy has dubbed “Holy Smokes!” This one-night only performance happens at 7:30 p.m., April 20 at The Mary Fisher Theater in Sedona. Similar to the improvised TV show “Whose Line Is It Anyway?, Zenprov performs fast-paced, spontaneous comedic games created in the moment—always based on audience suggestions and hands-on fun with willing participants. Unlike sketch or standup comedy, nothing is scripted or rehearsed ahead of time. It’s completely spontaneous and never the same show twice. This one-night-only performance is expected to sell out so please purchase tickets early. Shows are rated PG-13 (Shows may contain adult material, themes or language) and run approximately 90 minutes. Visit www.ZenprovComedy.com to learn more.